The excellence of this work seems to me to reside not merely in the thoroughness with which the author is acquainted with the detail relevant to this scholarly enterprise, but in the extent to which, throughout his treatment, he has been able to exhibit the interconnection of the various aspects of Ricardo’s approach in regard both to his general theories of value and distribution, and their application to more detailed policy and the potential vicissitudes of the economy. 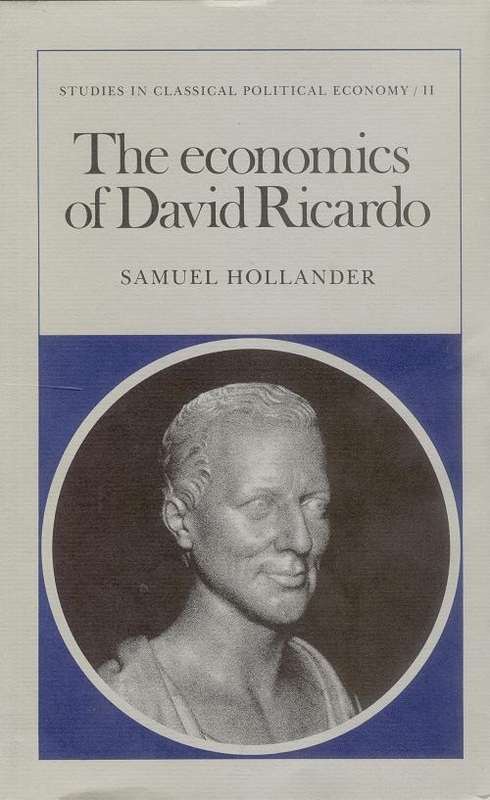 … in this … the second of his studies in classical economics [Hollander] directs his formidable scholarship to the economist’s economist. It is, if anything, even more penetrating than the first work: meticulously detailed, enormously learned in its range of reference and literary origins, sharp in its penetration of theoretical relationships.